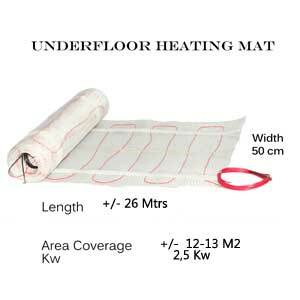 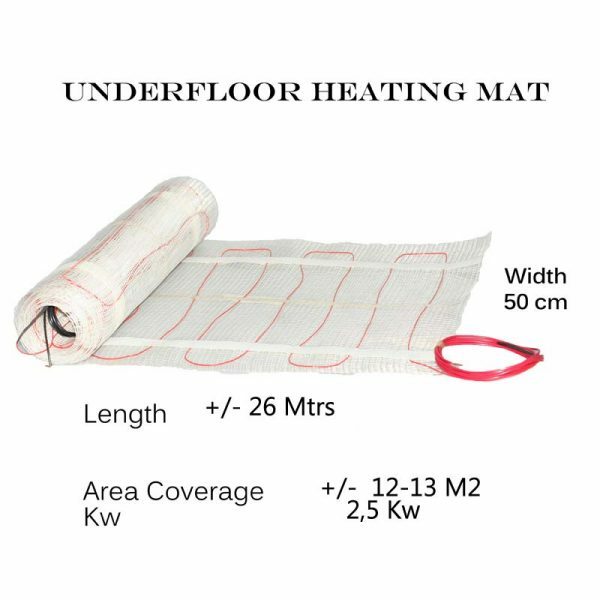 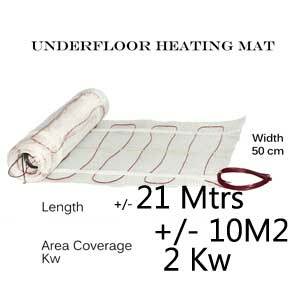 Underfloor heating mat -12 M2 floor coverage is a 2,5 kw Heating Mat that fits into a room size of 25 m2, covering 50% of the floor surface. 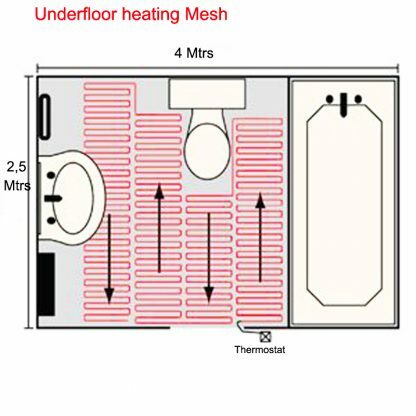 Please bear in mind that you need to purchase a thermostat. 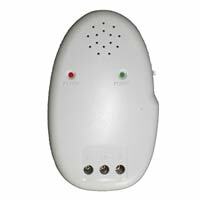 We have various models: Analogue, Digital, Programmable and Motion Sensor. 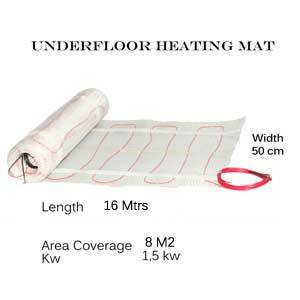 They are all suitable for the heating system. Choice is yours. 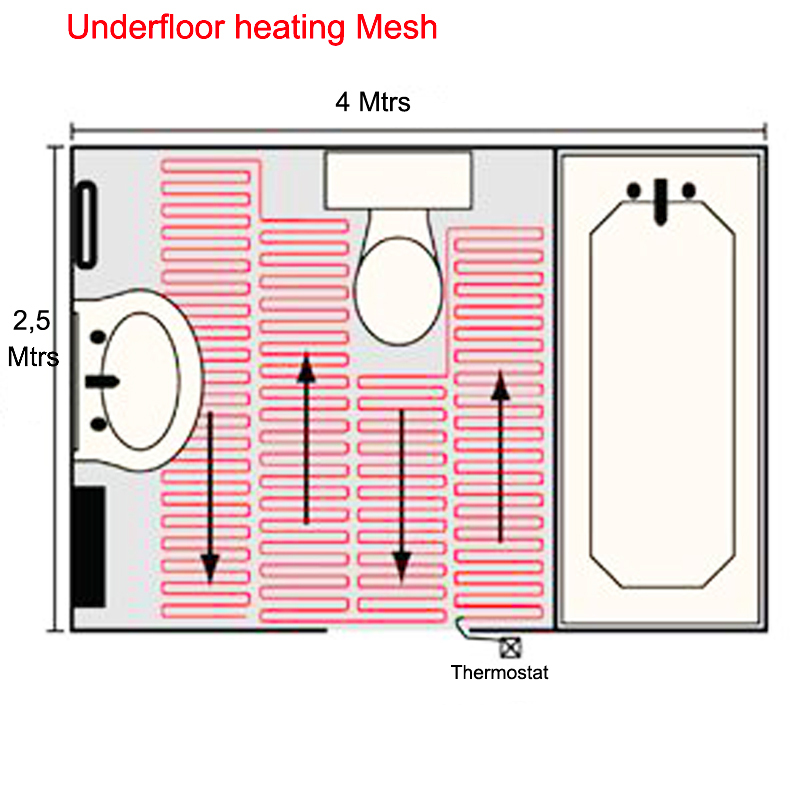 You have an option of buying an alarm to alert you if the heater gets damaged during tiling.